Jean Sibelius was born as 'Johan Julius Christian Sibelius' on December, 8th 1865 and he was a composer and violinist of the late Romantic and early-modern periods in Finland, a northern european country. All his major works, are regularly performed and recorded internationally. Digital sheet music for piano, Op.44 No.1, (Sad Waltz), from the original orchestral version, fingerings included, arrangement by Andre' van Haren, piano editing by Oriol Lopez Calle. This item includes a PDF-File + interactive sheet music for playing, transposition and printing and additional the MIDI and Mp3 audio files. Digital sheet music for string orchestra, Finlandia: Score, full score. This item includes: Digital Sheet Music (for display and printing only). Scaramouche, Op. 71, is incidental music by Jean Sibelius for a tragic pantomime by Poul Knudsen (1889–1974). Sibelius composed the work in 1913. The Violin Concerto in D minor, Op. 47, was written by Jean Sibelius in 1904, revised in 1905. It is his only concerto. This item includes: PDF (digital sheet music to download and print), Interactive Sheet Music (for online playing, transposition and printing), Video, MIDI and Mp3 audio files (including Mp3 music accompaniment tracks to play along). One of the twentieth century’s greatest composers, Jean Sibelius (1865–1957) virtually stopped writing music during the last thirty years of his life. 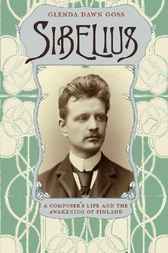 Recasting his mysterious musical silence and his undeniably influential life against the backdrop of Finland’s national awakening, Sibelius will be the definitive biography of this creative legend for many years to come. Glenda Dawn Goss begins her sweeping narrative in the Finland of Sibelius’s youth, which remained under Russian control for the first five decades of his life. Focusing on previously unexamined events, Goss explores the composer’s formative experiences as a Russian subject and a member of the Swedish-speaking Finnish minority. 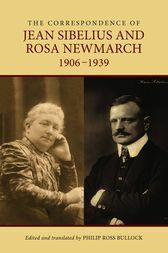 She goes on to trace Sibelius’s relationships with his creative contemporaries, with whom he worked to usher in a golden age of music and art that would endow Finns with a sense of pride in their heritage and encourage their hopes for the possibilities of nationhood. Skillfully evoking this artistic climate—in which Sibelius emerged as a leader—Goss creates a dazzling portrait of the painting, sculpture, literature, and music it inspired. To solve the deepest riddles of Sibelius’s life, work, and enigmatic silence, Goss contends, we must understand the awakening in which he played so great a role. Situating this national creative tide in the context of Nordic and European cultural currents, Sibelius dramatically deepens our knowledge of a misunderstood musical giant and an important chapter in the intellectual history of Europe. 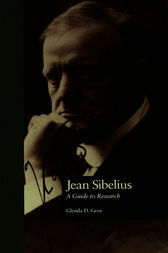 First Published in 1998, High-quality guide to major research on the music of Sibelius. Highly recommended for academic libraries. Jean Sibelius has gradually emerged as one of the most striking and influential figures in twentieth-century music, yet his work is only just beginning to receive the critical attention that its importance deserves. 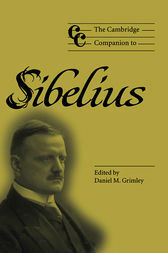 This Companion provides an accessible and vivid account of Sibelius's work in its historical and cultural context. Leading international scholars, from Finland, the United States and the UK, examine Sibelius's music from a range of critical perspectives, including nationalism, eroticism and the exotic, music and landscape, reception and musical influence. 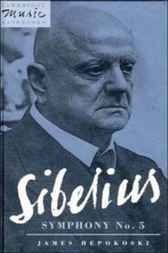 There are also chapters on recording and interpretation that offer fascinating insights into the performance of Sibelius's work. 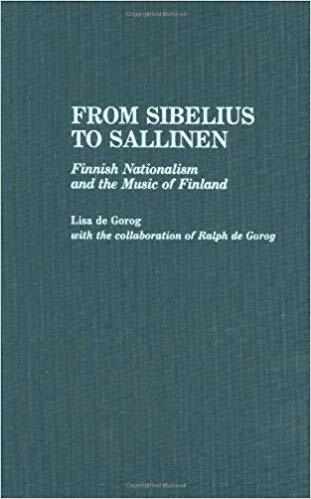 The book includes much material, drawing on scholarship, as well as providing a comprehensive introduction to Sibelius's major musical achievements. 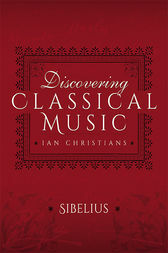 Ian Christians, for many years a passionate believer in broadening the interest in classical music, has developed a unique approach, designed to make it as easy as possible for both newcomers to classical music and those who have started down the path to explore with confidence. Discovering Classical Music concentrates on the greatest composers. The author takes you step-by-step into their most approachable music and, in some cases, boldly into some of the greatest works traditionally considered ‘too difficult’ for newcomers. Rarely does a book offer such potential for continued enjoyment. Perhaps no twentieth-century composer has provoked a more varied reaction among the music-loving public than Jean Sibelius (1865-1957). Originally hailed as a new Beethoven by much of the Anglo-Saxon world, he was also widely disparaged by critics more receptive to newer trends in music. At the height of his popular appeal, he was revered as the embodiment of Finnish nationalism and the apostle of a new musical naturalism. Yet he seemingly chose that moment to stop composing altogether, despite living for three more decades. 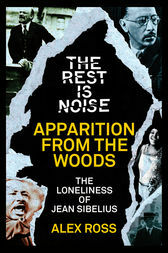 Providing wide cultural contexts, contesting received ideas about modernism, and interrogating notions of landscape and nature, Jean Sibelius and His World sheds new light on the critical position occupied by Sibelius in the Western musical tradition. This is a chapter from Alex Ross’s groundbreaking history of twentieth-century classical music, ‘The Rest is Noise’. Further extracts are available as digital shorts, accompanying the London Southbank festival programme. Jean Sibelius hailed from the ‘small nation’ of Finland. Working in isolation, far from the great artistic capitals of Europe, Ross shows how Sibelius’s reinvention of classical forms went on to set the pace for classical composers around the world. Now a major festival running throughout 2013 at London’s Southbank, The Rest is Noise is an intricate commentary not just on the sounds that defined the century, but on art’s troublesome dance with politics, social and cultural change. Alex Ross is the New Yorker’s music critic, and the winner of the Guardian First Book Award and the National Book Critics Circle Award for The Rest is Noise, which was also shortlisted for the Samuel Johnson and Pulitzer prizes for non-fiction. 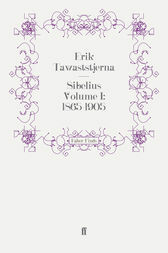 Erik Tawaststjerna embarked on his authoritative study of Sibelius in 1960, and it occupied him for over a quarter of a century. His book differs from other work on the composer in one important respect: he had unrestricted access to the composer's papers, diaries and letters as well as the advantage of numerous conversations with the composer's widow and other members of the family. Thus his researches can justifiably claim to have thrown entirely fresh light on the great Finnish composer. Far from the remote personality of the Sibelius legend, Sibelius emerges as a highly colourful figure. 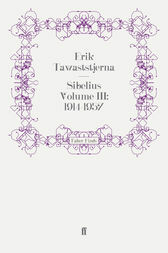 Translated by Robert Layton, himself a Sibelius specialist, this first volume (the first of three) takes us up to the period of the Second Symphony and the Violin Concerto, with perceptive and searching studies of the music including a number of early works, The Burning of the Boat, the Kullervo Symphony and the two versions of En Saga. 'A remarkable and deeply impressive book. Sibelius's Fifth is one of the great late-Romantic symphonies. In this searching account, based on a wealth of new information, James Hepokoski takes a fresh look at the work and its composer. His findings have implications beyond Sibelius himself into the entire repertory of Post-Wagnerian symphonic composition. The early chapters place the Fifth Symphony squarely within the general culture of European musical 'modernism' and focus in particular on the problem of the clash of that culture with the more radical 'New-Music' experiments of an emerging younger generation of composers. 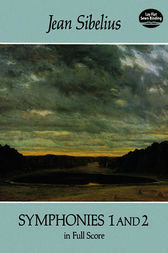 Subsequent chapters include a probing consideration of Sibelius's style and meditative aesthetic; an account of how the symphony was composed; and a descriptive analysis of the final, familiar version. The book concludes with a discussion of the composer's own prescribed tempos for the Fifth Symphony, along with a comparison of several different recordings. Finland's greatest composer and a major figure in the development of Scandinavian music, Jean Sibelius (1865–1957) is admired for his complete mastery of symphonic form. Of the seven symphonies he composed, each differs greatly from the others, for Sibelius rarely approached the symphonic "problem" the same way. Each work seems committed to the thoughts, feelings, and logic of the movement. Sibelius's first two symphonies remain among his most accessible and popular. Of all his symphonic works, perhaps the First Symphony, composed in 1898–99, adheres most to classical form yet reflects the spirit of Nordic nationalism that came to be associated with the composer's music. The Second Symphony, perhaps his most expansive and melodious work in symphonic form, demonstrates Sibelius's increasing command of orchestral form and scoring. These two major works are reprinted here from the definitive full-score editions published by Breitkopf & Härtel, Leipzig. 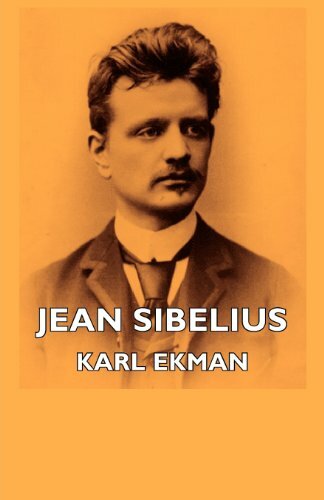 This book truly brings the Sibelius story to life and offers a new and fascinating insight into his development both as a composer and as a man - a must-have book for all those who appreciate Sibelius's music, whether they are musicians, students or other music lovers, or for those who love historical novels. 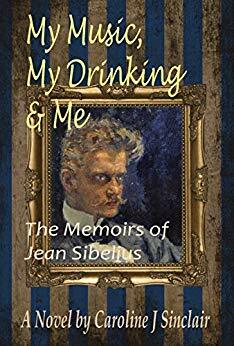 Based on true events and told from Sibelius’s own point of view, My Music, My Drinking & Me - The Memoirs of Jean Sibelius is the story of Finland’s greatest composer, one of the foremost symphonists of the 20th century. It is a turbulent and violent period in European history, and Finland is struggling to gain and maintain its independence. 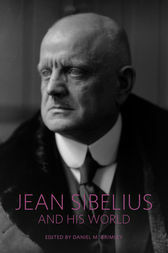 Sibelius is expected by many to be a spokesman for his country. However, he is uncomfortable with the position thrust upon him; he has no desire to make political statements through his music, wanting only to depict the elemental forces of Finnish nature. On a more personal level, he is battling with alcoholism; he believes that he needs alcohol to be able to write music, but does his drinking foster or hinder his creativity? Furthermore, if he does not give up drinking, it will cost him his marriage. Which is the stronger - his need to drink or his desire to save his marriage before it is too late? 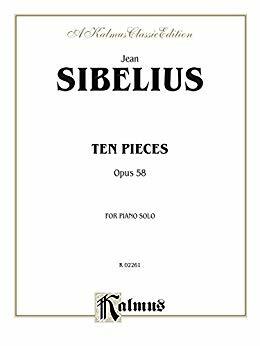 A collection of late-intermediate piano solos composed by Jean Sibelius. With his seven symphonies the Finnish composer Jean Sibelius marks a high point in the symphonic repertoire of the 20th century. The music evokes the ghostliness of the Finnish landscape, carries an inner strength and depth and proves itself full of technical finesse that still poses a challenge for both conductors and performers. A beautifully packaged Blu-Ray box edition commemorating Sibelius 150th birthday with a spotlight on his seminal symphony cycle that are among the canonical works of the 20th century. With the musical evocations of his Finnish landscape Sibelius symphonic works are known for their depth and technical challenge and continue to provide challenge for conductors and performers and delight to audiences. Sibelius likened his symphonies to declarations of faith, and the Finnish Radio Symphony Orchestra led by Hannu Lintu deliver mightily towards this mission with this comprehensive collection. For the first time, the entirety of Sibeliuss symphonies are available in audio-visual format with the outstanding addition of documentaries that precede each symphony narrated by Lintu providing context and information. The short film series Sort Of Sibelius! is also included and it introduces the man behind the music with narration provided by one of the more scintillating composers working today, Sibelius compatriot Kaija Saariaho.